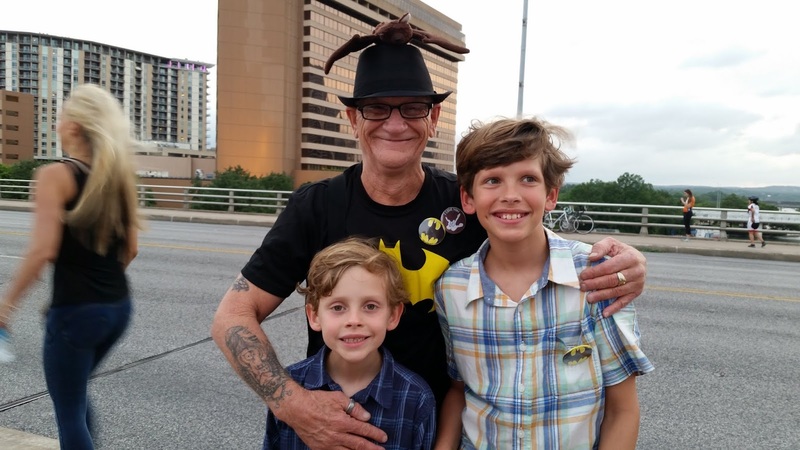 The most disappointing experience we had in Austin was waiting 2 hours on Congress Street Bridge to watch the bats fly out - only to have the bats not emerge that night. Such a bummer. We did, however, get to meet Bat Man, a sweet gentlemen that visits with the tourists on the bridge, passing out batman pins with little cards explaining his disability (he's deaf) and asking for donations for his batman pins. The boys found him amusing and even got their picture with him.